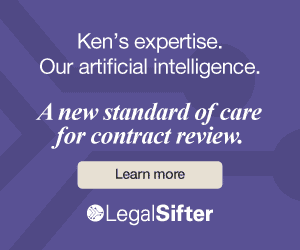 What Part of the Contract Process, If Any, Requires a Lawyer? Recently I saw in a discussion on the LinkedIn “Contract and Commercial Management” group a reference to “leaving the law bit to the lawyers.” That got me wondering what, when it comes to drafting and negotiating contracts, “the law bit” might consist of. The default rules that apply if your contract is silent on a given matter (for example, what law governs the contract or when a notice is deemed received). What you have to include in your contract for your transaction to work as planned (for example, the investor representations that are necessary if a securities offering is to qualify under a certain exemption from registration). What you should include in your contract to protect yourself against the consequences of future violations of statutory law (for example, unlawful disclosure of personally identifiable information). What won’t work in a contract because it’s against public policy (for example, an overbroad noncompetition provision or a usurious interest rate). If this component falls within the ambit of lawyers, it’s because lawyers are presumed to be in the best position to know what the law is (if it’s clear) or figure out what it is (if it’s murky). The second component is optimal management of disputes. This relates to how you handle governing law provisions, forum selection provisions, arbitration provisions, and other provisions that touch on how any dispute between the parties is to be handled. For example, should disputes under a given contract be handled by litigation or arbitration? If this component falls within the ambit of lawyers, it’s because lawyers handle litigation and so are assumed to be in the best position to know how to draft a contract so as to handle optimally any dispute that materializes. The first component might overlap with the second component. For example, under caselaw or statutory law, courts of only a few states might have jurisdiction to adjudicate a dispute between the parties. The parties could supplement that by agreeing on which of those states should actually adjudicate any dispute. Leaving aside the effect of unauthorized-practice-of-law statutes, the law bit could, to a greater or lesser extent, be handled by nonlawyers. To the extent the first component—the legal framework—is clear, it might be reasonable to expect that nonlawyers could determine how it should be addressed in drafting and negotiating a contract. As regards the second component—optimal management of disputes—it’s been my experience that many deal lawyers have no special expertise relevant to assisting clients in making these decisions, and furthermore they aren’t inclined to agonize over these these decisions. 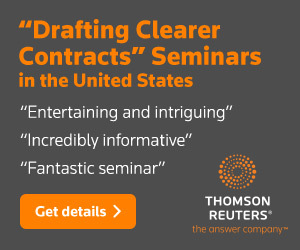 (Litigators might be best placed to provide input on these issues, but it’s commonplace for them to bemoan that they’re not consulted during drafting and negotiating.) So as compared to deal lawyers, having nonlawyers taking the lead on these matters might not be problematic, depending how knowledgeable they are. What about the stuff that falls outside the law bit? That’s the purely business component—I’ll call it “the deal.” Even though it’s free of legal considerations, it’s commonplace for lawyers to handle this component, too. Why? Presumably because if lawyers are handling the law bit, it’s simplest to have them handle the rest, too, at least for purposes of drafting. (When it comes to negotiations, who plays what role is more fluid.) Furthermore, lawyers have long acted as all-purpose advisors, so it’s commonplace for them to have a role in non-legal matters. So, to summarize: The deal is often handled by lawyers, but doesn’t have to be, as there’s nothing legal about it. One component of the law bit—the legal framework—is usually handled by lawyers, but the more straightforward aspects could readily be handled by nonlawyers. And as regards the other component of the law bit—optimal management of disputes—there might not be much to choose between deal lawyers and nonlawyers. So it seems that there’s relatively little that is best left to lawyers as opposed to reasonably well-informed nonlawyers. But that’s theoretical—it might well play out differently in practice. But if so, why? This is my first attempt at thinking this through, and it’s been a long time since I was involved in doing deals, so I’m prepared to be set straight. Note that I have no dog in this fight—I’m just trying to determine what, if anything, the nature of the process requires. By the way, what do I mean by “nonlawyers”? 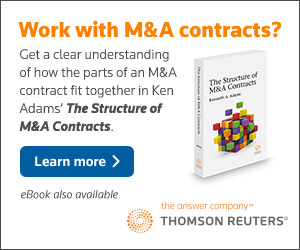 Contract-management personnel? Project managers? Business people? That’s a question for another day.